Ah, the Christmas Rose! Pity it has nothing to do with roses! When it comes to plant names I’ve always been sort of confused. Not by their scientific names mind you, those are drilled into you almost by wrote when you study any kind of garden design and horticulture. No, it’s the common names that have always given me a hard time. After all there are just so many of them. Fortunately with the advent of the internet people are learning more about the scientific names of plants which makes our job that much easier. Nevertheless we do still sometimes get clients who know exactly what they want in a certain part of their garden and it has to be a “Dutchman’s trousers” or “wandering space lily” or a “mildly inconvenienced blue mountain rose” and no idea of what the official name is. Usually this isn’t a problem, it’s easy enough to find the kind of thing a person is looking for based on the description but just trying to keep track of the umpteen different names for any one variety of plant is often enough to give anyone a headache. After all is ‘Dutchman’s Trousers’ different to ‘Bleeding Heart’ or even ‘Lady in the bath’? No, they are all the same plant. When we get to ‘Soldier’s Buttons’ or ‘Black Eyed Susan’, we might as well toss a coin! Of course this problem would be that much worse if it weren’t for the work of one Carl Linnaeus back in the 18th century. Before Linnaeus came along, plants were known only by their common names, a fact that I regard with genuine horror even before noting that every region had its own version of common name or names for any single plant. Once you take that to an international level ….. well, you get the picture. Obviously something had to be done. About a hundred years before Linnaeus was around, work on this problem began in the 1600s with Swiss botanist Gaspard Bauhin who made it a universally accepted rule that each plant should have a two word name, sort of a first and surname, just to give a little more distinction between the names. Until then, each plant was known largely by colloquial descriptions that meant nothing to anyone save those from the region in which it was used. The introduction of a two word naming system did make everything a bit easier but it wasn’t until Linnaeus came along in the 1700s that the system was refined. 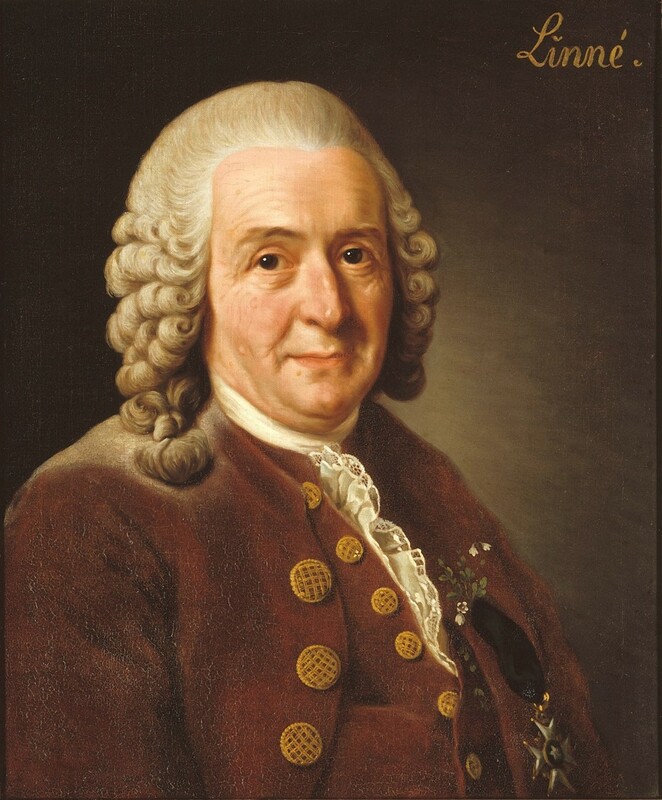 Linnaeus further improved the system by insisting all plant names follow a logical non-parochial naming process and be named in Latin thereby creating a universal naming system that people from all points of the compass could understand. The first of the two names relates generally to the genus name such as Betula (Birches) and the second part a more specific descriptive name. The cleverness of his system is that the latin name will give you hints about its appearance or source. 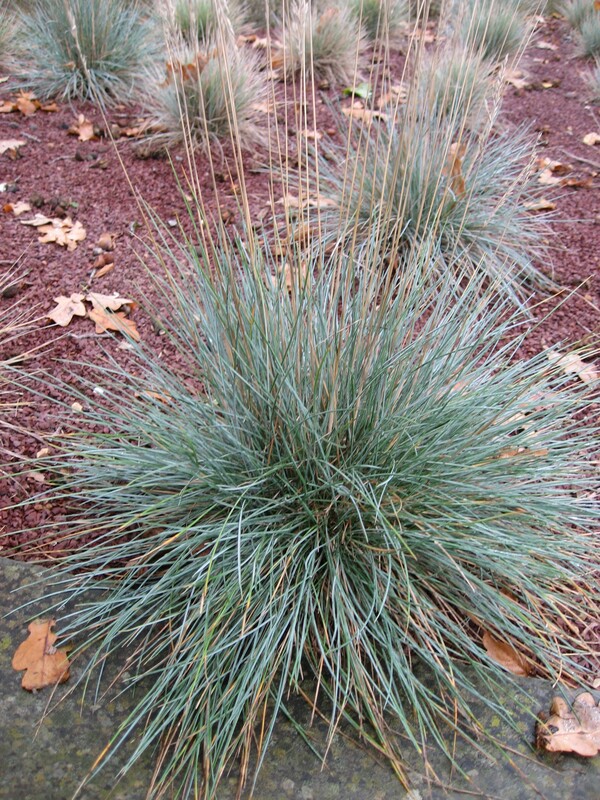 For example the term glauca in the name of the the small grass Festuca glauca means blue and therefore it is going to have blue leaves. Aurea indicates yellow; alba, white; rubra, red and nigra, black. So when Festuca glauca is blue, Festuca rubra has red tufts. Similarly, ‘floribunda’ means many flowered; ‘fastigiata’ columnar and so on. From a sourcing point of view, canadensis indicates an indigenous plant of Canada and chinensis of China – therefore these plants are likely to thrive in conditions the are similar to those regions of the world. Now you see why these names are rather useful. Also assisting in identifying a plant, a name like Digitalis refers to the Latin for finger and describes the shape of the flower that is similar the finger of a glove. Thanks to these giants of logical discourse and nomenclature, we now have the plant name classifying system we use today. No more must we muddle about with local names like ‘Augusta’s Trumpet’ or ‘Flying Purple Fish Vine’ (poorly translated from Edo period Japanese; that really was a name for a climber that grew near water!). True, plants do still have colloquial and common names but even these have been universalised to a degree, or at least enough to let me just about make sense of them. Still, if you want to ask a garden designer for a specific plant there is no quicker way than finding out its scientific, Latin name. Simply mention it we will know exactly the one you mean right down to the colour of the petals. If you can’t so this, well that’s OK too, we are quite good and finding out what it is you have in mind. Just be a little patient with us, for example if you want a campanula, there are nearly 2,000 species. So there you go, little history lesson while we’re waiting for the garden to wake up. Here’s hoping the festive season went well for all our readers and that you’re all enjoying a very happy 2015 so far.